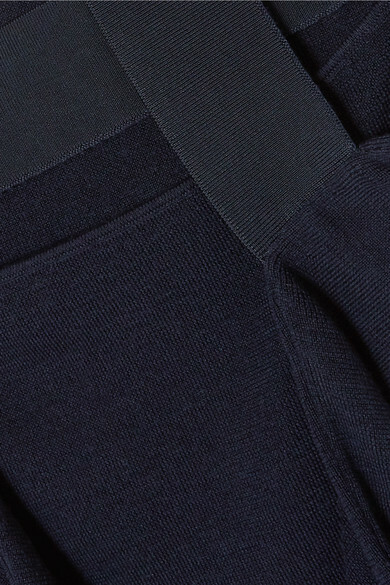 '90s minimalism is a common theme in Dion Lee's collections, and the designer's latest lineup is no exception. 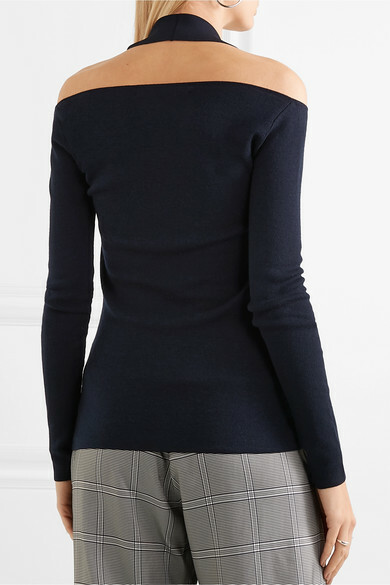 Knitted from merino wool, this navy sweater has crossover straps that create cutouts along the shoulders, back and chest. 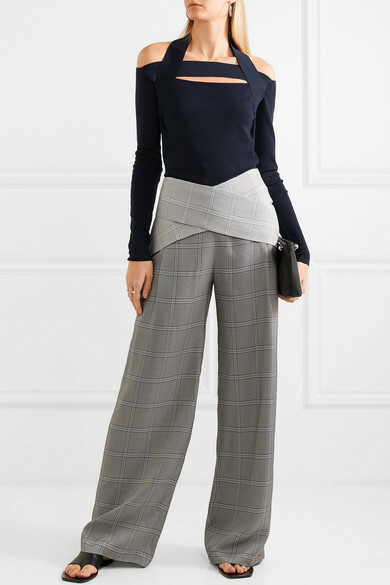 Balance the close fit by styling it with wide-leg pants. Shown here with: Dion Lee Pants, Loewe Shoulder bag, The Row Sandals, Jennifer Fisher Earrings, Sophie Buhai Rings.